Cozy Chicks: Two months until Grace Takes Off! Two months until Grace Takes Off! I don't think I've yet mentioned here that GRACE TAKES OFF comes out July 2nd. I have to admit, I think this is the best cover Berkley has come up with yet. I love it because it evokes the scene I'd envisioned, exactly, and the cover art includes elements from the mystery. I'm so pleased with this cover! Actually, thrilled is more like it. 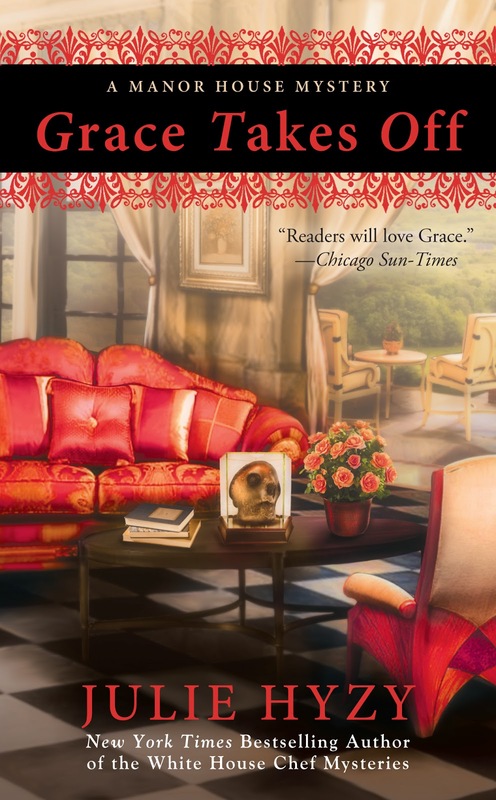 In any case, I know our Cozy Chicks blog is read far and wide, but for anyone in the Chicago area, I will be having a launch party at Anderson's Bookshop in Naperville, IL on Sunday, July 14th. We always have a lot of fun at these parties (and snacks! ), so if you're in the area, mark your calendar. I'd love to see you! I'm also planning to be at Printers Row Lit Fest in Chicago, June 8-9. Grace Takes Off won't be out yet, but hundreds of thousands of eager readers will be. Printers Row is so much fun every year. Even when it rains! Show of hands: Who here is near the Chicago area? I would love to go, I'm about 6/7 hours away in Iowa. But...I will be over 7 months pregnant at the time and I don't think I'll be able to last that long in the car!! But I will defiantly pick up a copy when it comes out!! Wish I could be there for the launch! Wish you could be here, too. But more important is that you stay healthy and safe and - definitely not in a car for that many hours! Enjoy your pregnancy and keep us updated! Good luck with the new release Julie, and I do love that cover.